I don't know about you, but I sometimes find myself in a rut in the winter when it comes to my wardrobe. There's something about the cold weather that just makes me want to be warm and comfortable 24/7. 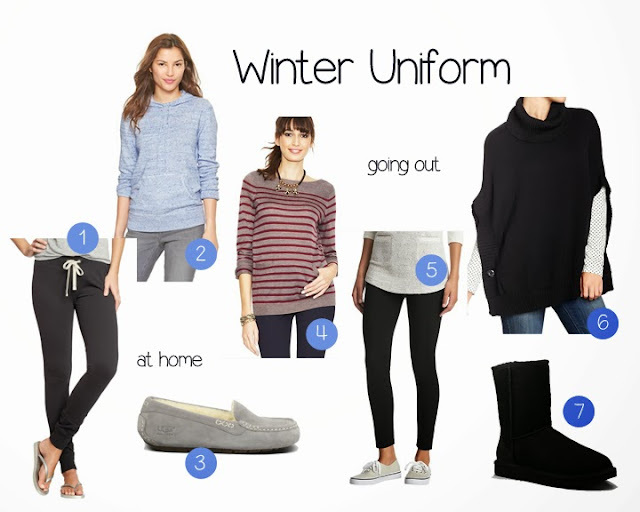 When I go out (to run errands) I end up wearing comfy sweaters, jeans or leggings, and my Ugg boots. And when it's really cold out, I don't even want to leave the house, and I end up wearing sweats and slippers even more!